As part of efforts to strengthen Nestlé’s food safety research in China, the company has opened a food safety research centre in Beijing. The Nestlé Food Safety Institute (NFSI) will work closely with authorities to help provide the scientific foundation for food safety policies and standards. The support will include early management of food safety issues and collaboration with local universities, research institutes and government agencies on food safety issues. It will also promote scientific communication and help run food safety training programmes. “The inauguration underlines Nestlé’s commitment to food safety and is also another important highlight in the story of Nestlé’s successful and long-standing presence in China,” said the company’s Chief Technology Officer Stefan Catsicas. “I am in no doubt that the work of the Nestlé Food Safety Institute will contribute to creating shared value for Nestlé shareholders and for society in China,” he added. The NFSI was unveiled by Nestlé CEO Paul Bulcke, Dr Chen Junshi of the Chinese Academy of Sciences and Swiss Ambassador Jean-Jacques De Dardel. Food safety and consumer trust are key priorities for Nestlé. The new Food Safety Institute will help meet China’s growing demand for healthy and safe food, one of the top three concerns among Chinese consumers. 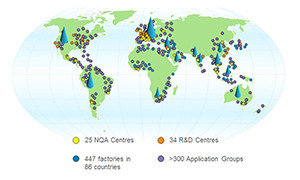 The NFSI is located in Nestlé’s existing Research and Development Centre in Beijing, part of the company’s global network of 34 R&D and Product Technology Centres. 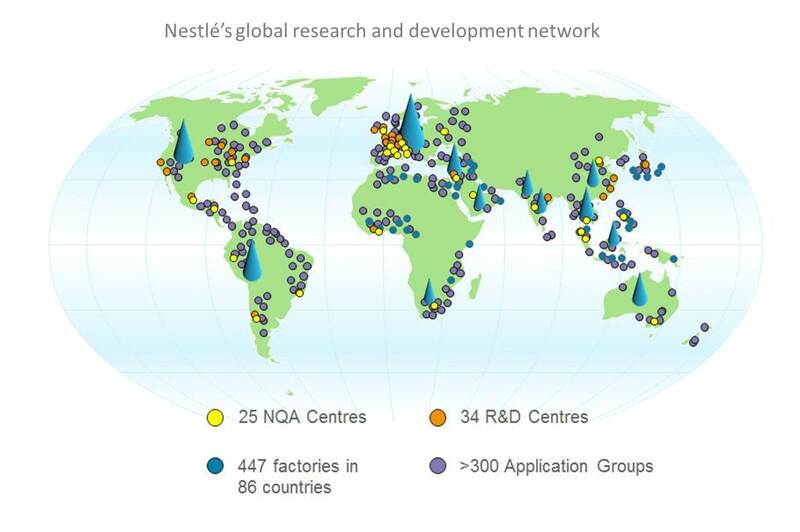 GRAPHIC: Nestlé’s global research and development network. Expand to full size (jpg, 84Kb). The Institute will have experts in risk assessment, early warning and scientific affairs. It will also be linked to Nestlé’s network of 25 Quality Assurance Centres, the final stage of a food safety assurance system that begins when raw materials arrive in the factories and continues throughout the production process. Nestlé has the world’s largest private food and nutrition research organisation, with about 5,000 people involved in R&D, as well as numerous research partnerships with business partners and universities. This includes the Nestlé Research Center in Lausanne, Switzerland, which employs over 200 scientists dedicated to food safety and quality and whose facilities include 20 microbiology safety labs that are among the most advanced in the food industry.